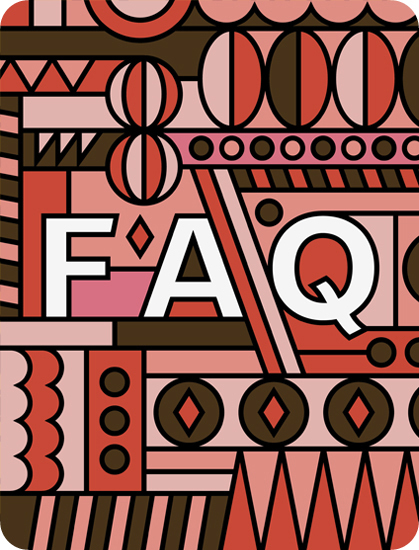 This section exists to answer the most common questions that I get asked by designers and illustrators. I have tried to cover the questions in as much detail as possible from how my work started to advice for aspiring artists. I've there's something I've not covered feel free to mail me and I'll do my best to get back to you as soon as I can. I studied Art and Design at college and progressed to study Graphic Design and Communication at DMU in Leicester where I now live. My illustrative style began to take shape during university and I graduated to pursue careers in both graphic design and illustration. My first commission was from Channel 4 and I built a small collection of work from there which grew over time to attract more clients. My work simply represents my desire to create, I work with a mixture of concept and style and prefer to tackle commissioned jobs based on their requirements whilst working personal pieces based on my own thoughts and feelings. My two-dimensional and often minimal work stems from my career in graphic design, I find image-making very similar to problem solving. I simplify parts that become over-complicated or add in additional details until I find the right balance. I gain inspiration from day to day life, memories, photography and music. I often draw out my ideas in my sketchbook and then move to screen, this allows a hands on approach at the start of each project. Personal works tend to be a result of lots of sketching which I think is important to help development, it also allows me to stay hands-on as my main work is digital. Commercial projects also involve sketching and a lot of communication between the client and myself. Almost all my works start life as pencil sketches which are scanned and then rendered in either Photoshop or Illustrator. I also enjoy working with paints, paper craft, inks, silk-screening and any other non-digital methods of working. I promote my work by speaking to people, if they like what I produce they will often talk about it too. My work often pops up on design blogs and I am occasionally asked to contribute to design publications so my work eventually reaches those who are interested in art. Whilst I would love to offer placements I'm unfortunately not able to. This is due to the style and content of my work being so personal; clients require illustrations to be worked by myself which wouldn't leave much to do apart from make tea, eat cakes and lounge around the office. The most common use for my work is for advertising, editiorial or products. I am fortunate that all my clients understand my work and are often very open to creative suggestions. I work from both a home office and a studio space in the city. I think it's important to have somewhere that inspires you and the two spaces serve seperate purposes. My home office is small and busy with lots of books, artwork and instruments. My studio in the city is completely opposite and is spacious, minimal and designer. Both spaces are great places to work. In the beginning I painted my works on board, canvas and paper. I was already using Photoshop and Illustrator to complete my design work so it was a natural progression to use these methods for my artwork as well. The style itself has been refined over years of practice; my early works were largely character based although I am now interested in many more areas including typography, patterns and minimalistic illustrations that have a broader application in advertising, packaging and editorial. Yes, I enjoy passing on knowledge and helping artists develop their talents through practical workshops. I have also contributed written work to university documents and worked with digital media students at degree level to help develop their practice. If you would like to discuss a visit in more detail please send me an email with further requirements. Work hard and keep a consistent style even if every project you work is conceptually far apart. Without a style that defines your work your clients won't know what to expect and you therefore limit your chances of landing commissions. Learn about the history of art, it's progression and movements over time. Read books, visit galleries and make time to relax to avoid getting creative-blocks.